Kimin Kim, the youngest premier in the history of the Mariinsky Theater, comes in for the interview ten minutes late (it being the middle of a busy afternoon, no wonder there was no parking space) — and then apologizes profusely for another ten minutes: this must be the trademark Korean politeness. We meet at the height of the preparation of an important premiere - the legendary Push Comes to Shove, originally created by Twyla Tharp on Mikhail Baryshnikov in 1976, and it is a great joy for World of Ballet that the dancer has found some time to fit our interview in his busy schedule. Every day is a rollercoaster: in the morning there is a ballet class, then a rehearsal, an interview, a photo shoot, another rehearsal. Talking with Kimin is a pleasure. He humbly states that he "speaks Russian badly"; however, it is sheer nonsense, for he speaks freely, fluently, competently; he jokes, reflects, contemplates. Overall, he makes an impression of a very intelligent, well-mannered, very pleasant young man, and not just a "Mariinsky superstar", as it is customary to write about him in the press. "I was born in Seoul, later my family moved to a small town. When I was little, I was completely restless. Nowadays they would probably have said something like "this child has attention deficit," he jokes. "My parents were willing to sign me up to all kinds of activities only to keep me occupied. I did taekwondo, short track, swimming, football. In fact, ours was not a ballet family. My mother is a musician, while my father is a public servant, far from being artistic. Our mother, of course, is very fond of music, and it was her idea to enroll us in the ballet school." "My elder brother Kiwan became the first who did ballet in our family (and now he is a premier of the Korean National Ballet, and I couldn't be prouder). It was he who was considered our family star, and I - how do you put it? - was catching up with him, like a supporting character. It was easier for me to study, because I studied alongside my brother. You know, in Korea, where ballet is admired and revered, there is still, to my regret, a strong conviction that ballet is not a real profession for a men. When my dad found out that I was going to do ballet professionally, I assure you, he was not very happy," Kimin laughs. "However, my parents and my brother are very supportive. Every so often I send them some photos or videos of my performances, and everyone is eager to watch them. Besides, now the Internet is a big thing. No sooner have I got home after a performance when I receive a message from my brother: "Well done, congratulations on a wonderful performance!" I reply, why, how come you know? And he goes, it's already on Youtube! Yes, now is the time when news travels fast. At first, I couldn't accept this, and I would ask to remove my videos from the Internet. I did not like the feeling of it. Live performance is much more engaging; you really do have to watch them. I'd rather people came to the theater for ballet, so that it'd become more memorable, more special. And then my dancer friends told me, hey Kimin, come on, don't be so old-fashioned! You have to promote yourself! As a result, I've been trying very hard to update my Instagram page regularly," he confesses shyly. "I guess it's just unavoidable." To be honest, Kimin hardly needs any advertising. All his performances, especially the flamboyant La Bayadere or Don Quixote, are promptly sold out. In St. Petersburg, known for its cool attitude to newcomers, the dancer already has his own small army of loyal fans who always welcome warmly all his performances. Russia is notorious in the ballet world for its numerous curtain calls and lengthy bows. What about the dancers, don't they all want to get home as soon as possible after a demanding performance? "I realize this is our audience's way to thanks us, and I am always grateful. I don't mind multiple curtain calls, even in Mariinsky-2 where the curtain does not part in the middle, and we have to come back onstage from the side, stepping over some bulky equipment. I remember being in the dressing room one evening, and they have already started to unpick my costume. I hear the audience continue to applaud, and I ask the wardrobe assistant, please stitch it back quickly, I must go back onstage!" It's true that one could only dream about all this; however, Kimin, being a very humble young man, never used to even consider this possibility. "When I was a student, of course, I would think about the Mariinsky. It was not my goal, rather than a dream very unlikely to come true. At school, at first I was not an acclaimed dancer. A teacher once told my mother that I was just wasting my time pursuing ballet. I had a good, natural turner, I had my jumps, well, that's all. Vladimir Kim [Kimin's namesake], who now is my dearest coach, used to teach at the Korean National University of Arts. One day I came to audition asking to learn from him, and he told me - I won't take you, I can see nothing but your physique, you must work on your artistry and aesthetics. Surely I was upset - and so I began to work", Kimin smiles. "I would come to the studio after hours to rehearse on my own until falling down. I would ask the janitor for the key and come at six in the morning to practice before the class. I was exhausted. But I really wanted to accomplish something. " Vladimir Kim watched the persistent and hard-working dancer approvingly and finally agreed to take him as a student. Under the guidance of this talented coach, Kimin quickly began to show high results. When 8 years ago the Mariinsky Ballet came to Korea on tour, Vladimir Kim managed to arrange a meeting with the director of the ballet troupe. They showed several recordings of Kimin, and Yuri Fateyev invited him to an audition in St Petersburg. Kimin says that for him it was rather an honorable opportunity to visit the premises of the Mariinsky Theater; he never truly believed this audition to lead to any commitment. However, he was offered to join the theater as a trainee, and in a year Kimin, bypassing the intermediate ranks, became the first soloist - a career jump previously unheard of at the Mariinsky. Vladimir Kim and his wife Margarita Kullik, former dancers with the Mariinsky, came to St. Petersburg to help settle down the young prodigy, who did not speak a word of Russian at that time and knew nobody in the city. Kimin recalls that his teachers were of tremendous support while he was moving. Indeed, they have become his second family, and he timidly calls Margarita and Vladimir his "Russian Mom and Dad". At the Mariinsky, despite and perhaps due to the big title of a premier, Kimin now continues to work hard on each role. "While preparing a performance, I research everything - the ballet itself, the life of the composer, the story behind this particular music." Kimin mentions Prokofiev, Rachmaninov, and Chopin among his favorites. "It helps me to understand my role. I always sit and study for hours, I brood and contemplate a lot so that my friends even laugh at me. I listen to music all the time, because without music, ballet is unimaginable. Also, I write in my journal every day – how do you say, keep a diary? - yes, right, I write down all the important thoughts that cross my mind. Later I might read them and," he ironically imitates a facepalm, "I might throw it away, but I still must write it down. For me, this is very useful". Kimin says that he does a lot of self-education, going to museums and exhibitions, reading, watching movies. In 2016, he suffered a grave career-threatening injury and had to have an operation. The recovery has taken a whole year. "Every show is important to me. There are many dancers I admire, but I don't try to be like anyone else. I only want to better myself." "I always aspire to tell a story. I used to be told that my parts lacked emotional interpretation and expressiveness, so now I work a lot on each character. To be able to polish your characterization, you need to know the steps precisely. I must not improvise; neither do I get to change the choreography. The choreography was written a long time ago, and you must learn to do exactly as it goes. And only then can you add something of your own, for the sake of drama or the storyline. This is a serious job. One of my favorite roles is Ferkhad in The Legend of Love. It is very complex and interesting, both dramatically and choreographically. I like taking part in gala concerts, because this is a chance to see another stage and perform in front of another audience, but in a short pas de deux or a solo it is quite impossible to create a character. I love full-length ballets. Russian audience can forgive an artist who has made a technical error if the part was portrayed with eloquence. I, as a perfectionist, at first found this rather shocking," he laughs. 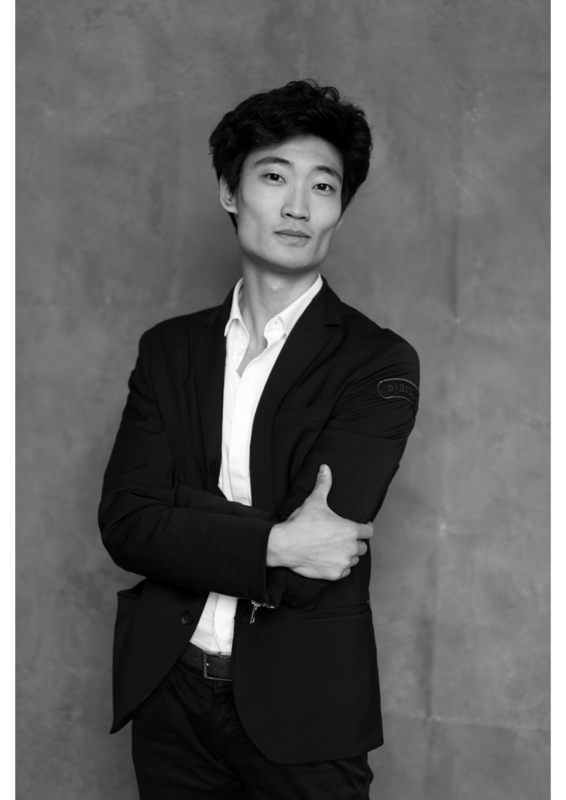 Besides St. Petersburg, Kimin has been invited to dance with many world-famous companies - the American Ballet Theater, the Paris Opera, the Vienna Opera, and many others. The better you dance, the bigger engagements you have, but so is the responsibility. The life of a sought-after dancer is one never-ending tour: St Petersburg, America, Japan, Vladivostok, South Korea. Sometimes Kimin spends at home - and Petersburg has already become his home - just a few days every couple of months. He misses his home, his friends, and he enjoying visiting his family and friends back in South Korea. "Vika Tereshkina, for instance, does not like being on tour very much, because she has a little daughter, a family to attend to. For the time being, I am quite unbound, family-wise, and I am grateful for every opportunity which the theater gives me to perform on a new stage. I love to travel and see the world. For example, while I was performing in the USA, I got to meet Twyla Tharp. I was really eager to dance her ballet. We have negotiated for a while, and now I am rehearsing Push Comes to Shove at the Mariinsky Theater. I'm very excited". The brilliant premiere of Push Comes to Shove took place on March 21 at the opening of the 18th Mariinsky International Ballet Festival. It demonstrated that Kimin, a "flying genius", a "gravity-defying dancer," was capable of dazzling his audience not only in classical ballet but also in jazzy, cheeky, contemporary ballet works. During the Stars of the White Nights, on May 28 and 30, Kimin Kim will dance her favorite ballet The Legend of Love with Victoria Tereshkina, two performances under Valery Gergiev which are likely to be filmed. Moreover, Kimin's gala concert is scheduled for June 16, and we are positive that the dancer will enchant and surprise us again.